Swarovski is celebrating 120 years of being on the cutting edge of fashion and jewelry trends. Look back at a brief history of Daniel Swarovski and his crystal cutting company. In 1862, Daniel Swarovski was born in Bohemia to a family that owned a crystal-cutting company. Now part of the Czech Republic, the Bohemia region has a rich history of crystal crafsmanship. In 1883, Daniel formed a jewelry company and by 1886, they had over 70 employees, and supplied jewelry for Queen Victoria. 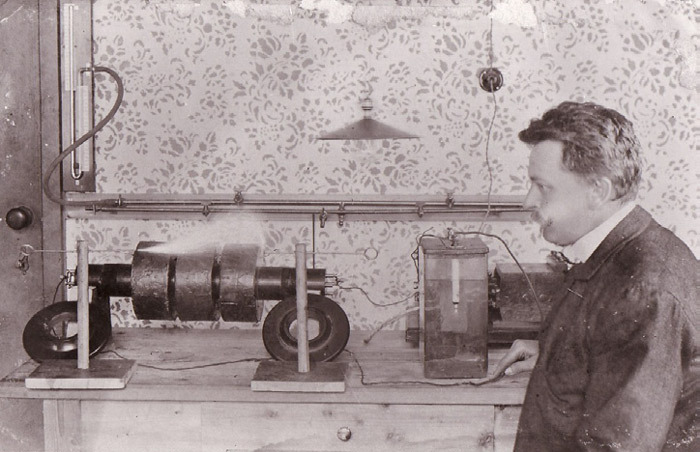 In 1891, Daniel registered a patent for the crystal cutting machine that he created and in 1895, moved from Bohemia to Wattens, Austria to begin crystal production. In 1911, Daniel Swarovski and his family built their own glassworks factory and produced premium quality glass. During the 1920's, the "flapper" fashion trend caused a surge in demand for fashionable Swarovski designs. Shorter women's hairstyles led Swarovski to create a crystal-embellished fabric headband, which was also used as trimming for clothing. 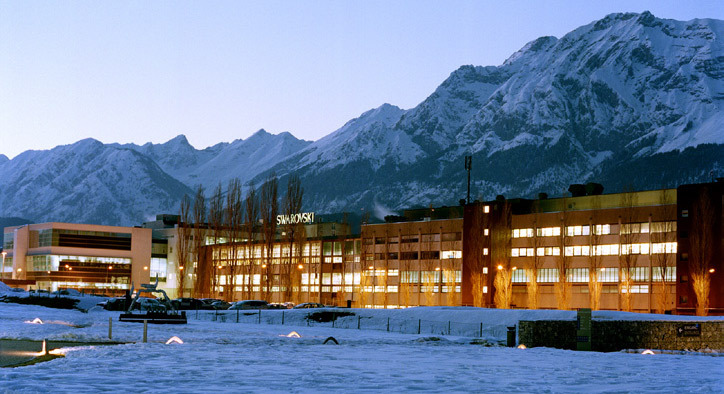 After the end of World War II, the company founded Swarovski Optik which used its expertise in glass manufacturing to create lenses, binoculars, and telescopes, making Swarovski a market leader in precision optics. In the years following World War II, fashion became a huge trend. Popular designers such as Coco Chanel, Christian Dior and other Hollywood designers snapped up Swarovski crystal designs. In 1956, Daniel Swarovski collaborated with Christian Dior to create the popular Aurora Borealis (AB) effect that is still used to this day on crystal colors. During this era, Hollywood designers started using Swarovski Crystals en masse. 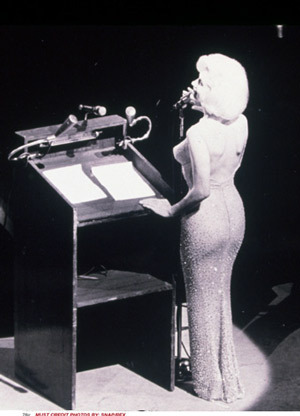 Marilyn Monroe wore crystal in "Gentlemen Prefer Blondes" and during her famous birthday song to John F Kennedy. Swarovski Crystals were also used for the Ruby Slippers in "The Wizard of Oz" and they made appearances in "Sabrina" and "Breakfast at Tiffany's." In 1974, the company developed the Hotfix technology allowing crystals to be fixed directly to clothing and fabrics without metal or plastic settings. In 1989, Swarovski replaced its original Edelweiss logo with the Swan logo, which is used on Swarovski packaging and storefronts around the world. In 2000, Swarovski introduced the pearl with a crystal core, providing the weight, texture and shine of a natural pearl, combined with the quality of a Swarovski Crystal. Swarovski continues to partner with fashion designers and architects to innovate and create new designs pushing the capabilities of crystal design. 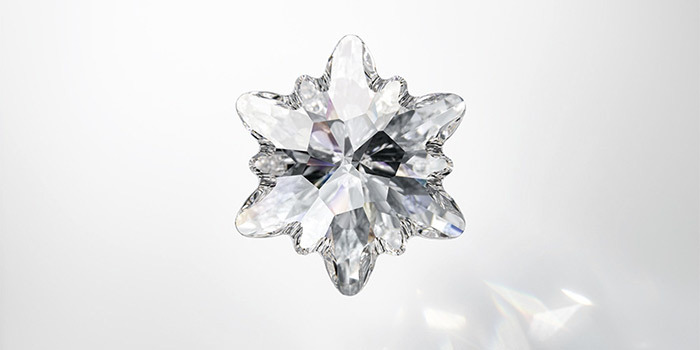 Currently, Swarovski is going back to its roots, reintroducing the Edelweiss shape as a new pendant for the Fall/Winter season.